This forums was made for @Jacoby_Elderfun1 and all you movie lovers in Aethasia. Just write your own review or opinion here on any movie. Well, I was actually talking about a movie I'm planning to do! I will be writing a review on it here when it comes out then. I know specifically that some of you here watched this. (Possible Spoilers) Don't read if you didn't watch it! Jyn Erso, (Felicity Jones), is abducted from prison by the Rebels. Her father, Galen Erso, (Mads Mikkelson), is important in the building of the Death Star. The Rebels want to know how to destroy it. They think they can use Jyn to reach her father through an old friend. An actual Clone Wars character, Saw Gerrera, (Forrest Whitaker). 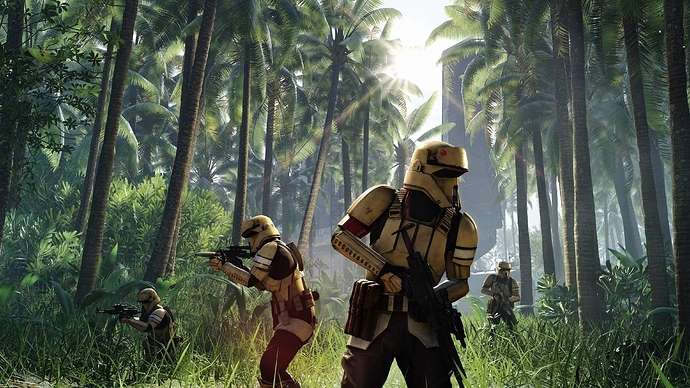 Along the way, other members of the soon dubbed team, Rogue One, tag along. Especially are favorite droid, K-2SO. It is easy to see the villain as the Director Orson Krennic, (Ben Mendelson). Though other classic Star Wars villains appear in this epic movie. With the magic of technology, 30-years-ago characters have returned. Even James Earl Jones reprised his role as Darth Vader's voice. In the end, the new team Rogue One has to send the plans for the Death Star from an Imperial Outpost in Scariff. They succeed, with the help of a Rebel fleet and lots of hope. 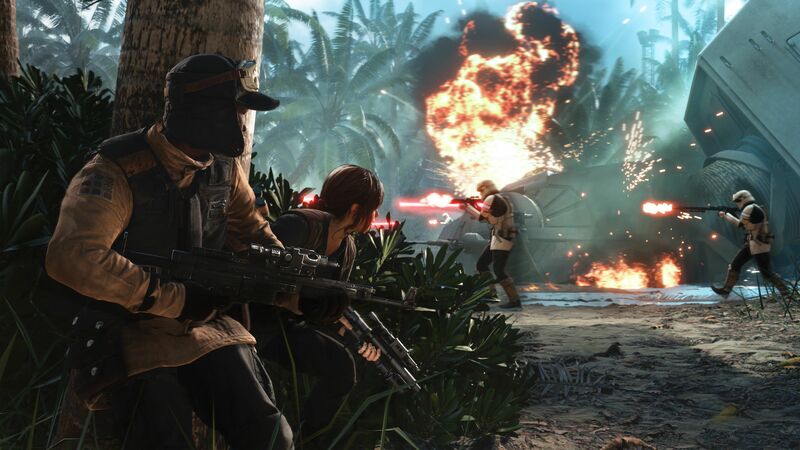 Though it sadly ended with Rogue One heroically giving up their lives to save the galaxy. It seems the last part of the movie was all we had been waiting for though. The return of Darth Vader and the beginning of a New Hope. I hope you enjoyed this review of Rogue One: a Star Wars story! I give it 94% fresh potato. Very fun enjoyable comedy, but check with your parents before watching. I give it ️ ️ ️ ️ ️! 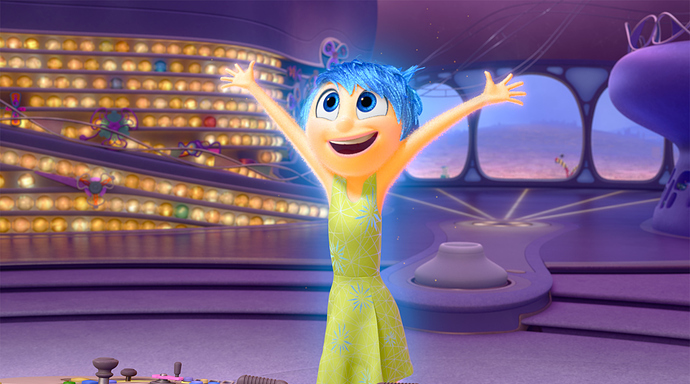 Hi, I’m Joy, I make you HAPPY! Hi, I’m Sadness, I make you sad. Hi, I’m Anger, I make you...Oh...why do I need to tell you, isn’t it obvious? Hi, I am Disgust, I keep you from getting poisoned, both physically and socially. Did you ever wonder what, or should I say, who those little voices in head are. Well, meet these five! They control you by giving you ideas, thoughts, and opinions. Each one is specialized at their task to make sure you can be the best person you can, but, what would happen if you lost one? Or, oh, horror, two! You would not be you! 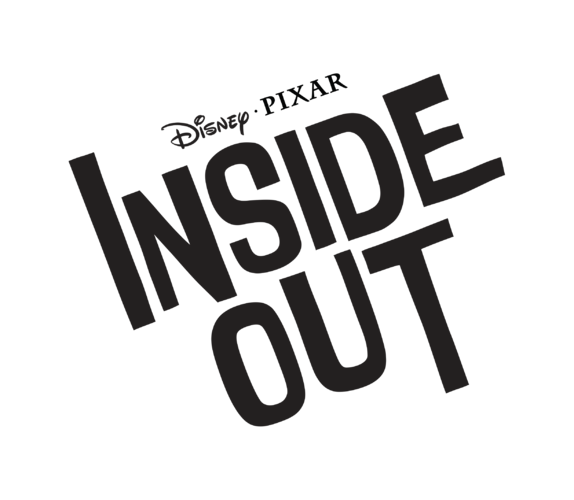 “Inside Out” brings this idea to the big screen as Riley Andersen’s 11 year old life is turned upside down as her family moves from the only home Riley ever knew in Minnesota to a small house deep in San Francisco! Disgust: Just a second there, Mr. review-writing-guy, I think Fear and me did a pretty good job handling situations, but Anger, he was intolerable. Okay, okay, but I’m the one writing the review here. 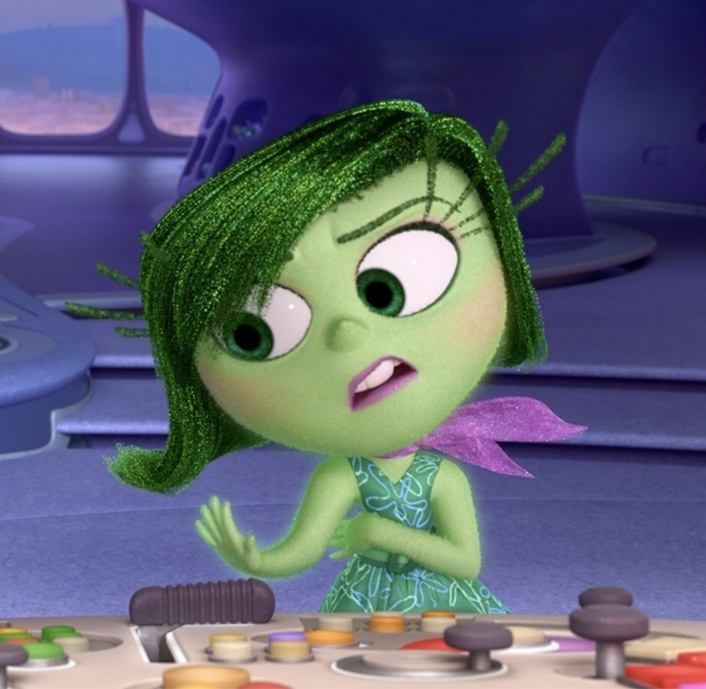 Anger: Are you trying to make me look bad, Disgust!? Joy: Okay you guys, break it up! Fear: I think we should let Mr. review-writing-guy get on with his review, you...you may mess it up. 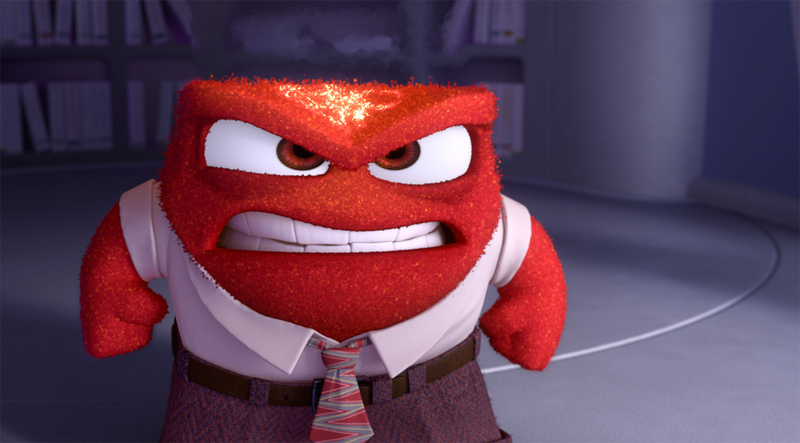 Anger: You wanna talk about messing stuff up? Then take a load of...! Joy: Anger, please keep yourself together now, we don’t want to break the control board agin. Now let him get on with his review. Thanks, Joy. 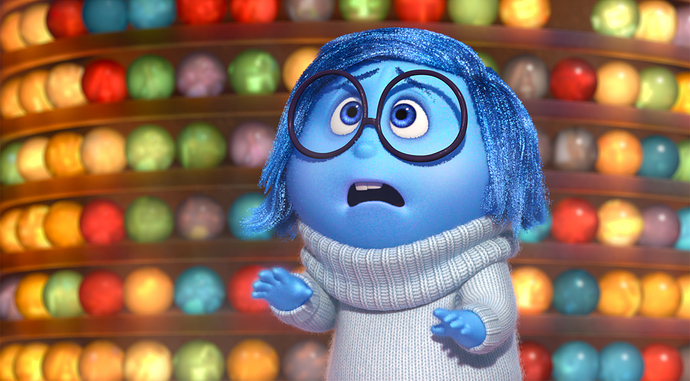 As I was saying: with two emotions lost the remaining three have to manage Riley as best they can which, as mentioned above, is nearly impossible, and then things get even worse when Anger has the “best idea ever!” Inside Out is a thought provoking movie for older children and even better for adults! Which movie should I review next? This film follows the mythological book of J.R. Tolkien of the same name, part of the Lord of the Rings trilogy, magically transformed to film by Peter Jackson. It starts when some fifty years after finding a magic ring of power in the Misty Mountains (see The Hobbit) Bilbo Baggins gives it to his nephew, Frodo Baggins upon leaving the shire. Soon afterward a wizard friend of Frodo’s discovers that the ring which Frodo possesses is the Ring of power, forged by Sauron in the fires of the Mount Doom(though referred to by different names at different times), lost in a battle in which it was cut from his hand, and Sauron is once again seeking the Ring of power because it alone can give him the ultimate power to rule Middle Earth, but if he fails he will forever lose his power and become no more than a powerless spirit. So Frodo sets out with four friends(also Hobbits)to go to Rivendell to decide what is to be done with the Ring in a conference, it is finally decided that, with Frodo as the ring bearer, the Fellowship of the Ring, including Gandalf, Sam, Merry, Pippin, elf Legolas, dwarf Gimli, Boromir of Gondor, and Aragorn(Strider), will take it to Mordor and destroy it in the only way possible, by throwing it back into the volcano from which it was made. From Rivendell the party embarks on an epic journey to Mordor, but can they make it all in one piece? 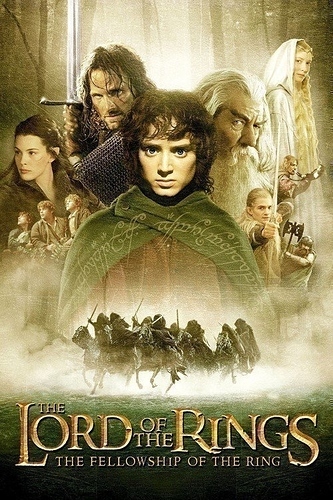 This film is rated PG-13 for good reason because of the violence which includes Frodo being stabbed by a Ringwraith, a battle sequence in Moria involving a cave troll and a Balrog, and (spoiler alert ) Boromir’s tragic death in an Orc battle. The film does include a certain amount of spiritual content because Sauron is an evil spirit, a fallen Ainur who was led into evil by the satanic figure, Morgoth. So you might consider Sauron a type of Anti-Christ. Aragorn and Elrond’s daughter, Arwen are in love but this point is not talked about as much as in the second and third films except that Arwen sacrifices here immortality to show her love for Aragorn. Hobbits and Gandalf smoke which may make some people uncomfortable. Bilbo is dishonest about the Ring with Gandalf, but Gandalf sees through his dishonesty. Many dwarf corpses are seen in Moria as a result of the Orc’s invasion but very little blood is seen. A man gets apparently crushed by a falling gate in Bree(a town the hobbit stay). It was Orcs led by Urikai. No all Urikai! You need to watch it again. I think you shouldn’t have spoiled a certain person’s death, though. Just sayin’. I said “spoiler alert” which justifies it, plus it was necessary for the review. A film based on the book by Random Riggs of the name, Tim Burton brings us another eerily entertaining movie yet again. 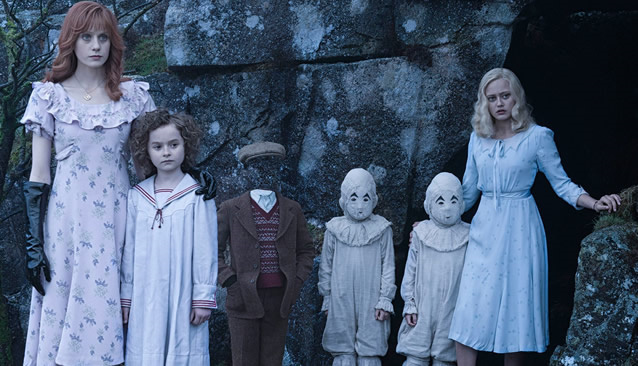 Known for directed and producing obscure movies with a creepy dollop of darkness, Burton does not disappoint with Miss Peregrine's Home for Peculiar Children, which came out in 2016. Though, while Burton does infuse his idea of 'wondrous' filming a lot, this movie is fortunately not void of a moral and a few good lessons. The main plot and story follows Jake, just an 'ordinary' teen, on his sudden change in life. He finds his grandfather in his dying moments, but before his grandfather dies, he gives Jake a cryptic message. "Go to the island," his grandfather says, "I know you think I'm crazy, but the bird will tell you everything." As luck would have it, Jake finds a series of clues pointing to this particular island of which his grandfather wanted him to go. After some convincing, Jake and his rather uncaring father go to the island for some 'vacationing'. It is here on this island where things get a bit... creepy. Let's just say it goes from a struggling PG rating in the first twenty minutes or so to a writhing PG-13 for the rest of the movie. Soon, Jake finds other 'peculiars', children like him who have extraordinary abilities, and they take him on an adventure through time, strange places, and vicious creatures. Now, on to explain a few things. The PG-13 rating was well earned, even then, a little extra gore or violence here and there would've made it really bad. Thankfully, Burton carefully pushed the content to the not-quite-so-breaking-point. 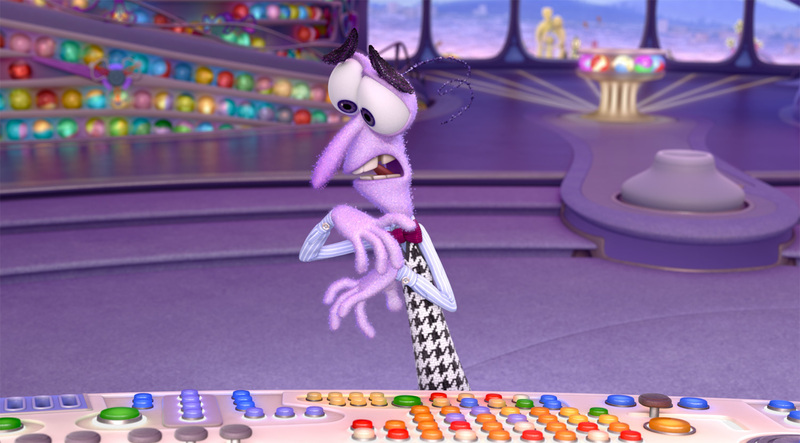 There are a handful of curses with the worst of them just being one use of "G______n". Other than that, there are uses of "Oh my G__" , "H__" , other British forms of cuss. "D_____d" is used once as a term rather than a insult. 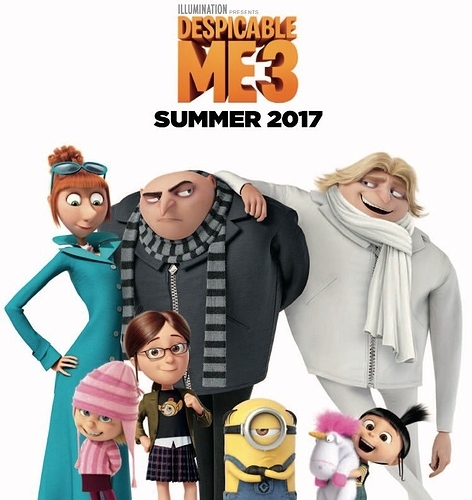 Overall, the cursing in this film would be unacceptable for anyone younger than 12 or 13. Even then, that's a stretch. There's also... violence. While not an action movie in itself, the film still has certain scenes and parts where swords, knives, and even a crossbow are used to attack invisible monsters. Thankfully, the extent of gore in this movie is limited to just stains on an old knife and a fence. Other than that, you see some monsters getting killed with some black ooze coming out afterwards. The children's powers are also used to take down monsters as well. About three of the children have very disturbing powers that may be too much for jump-scare sensitive viewers. Another creepy scene involves multiple children being hurt (off-screen), but shows the monsters 'reaping the benefits' afterwards. One child also produces a shocking scare that is very much going to scare anyone younger than five. Monsters also eat eyeballs which are clearly fake, but younger viewers might believe it to be real. Still not the best thing. There's also a half comical / half clumsy fight between a bunch of skeletons and monsters. As for inappropriate content, it is restrained to minor references as well one or two kisses between Jake and his eventual lover. The clothing throughout the movie is usually modest, but one female's swimming gear hugs her form. Then there's skeletons that don't wear anything, but I don't really think that counts. Jake flirts a few times with (I don't remember her name, heh, heh...) Content never goes farther than their hugging and kiss. Alcoholic beverages are shown being consumed in one or two scenes, but it is not dwelled upon and is just shown as 'props' really. 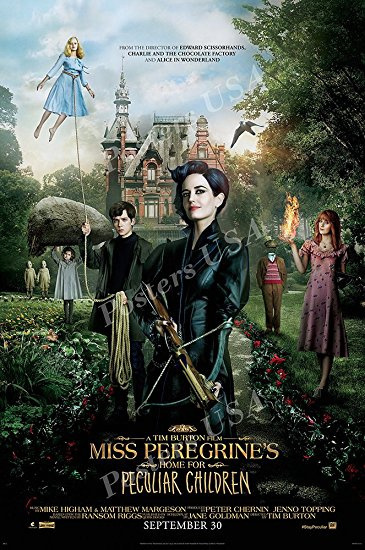 Miss Peregrine also smokes a pipe so big that it would put Sherlock Holmes to shame. Other negative elements would include some of the children lying or fighting over petty things. Overall, they learn to overcome their, (albeit huge), differences to save their teacher as well as the world. Positive elements include Jake learning that everyone is special in some way. As well as you should always believe the stories your grandfather tells you, heh, heh... Multiple characters put their lives in danger to protect others. [spoiler] No one but the bad guys die. Even then, deaths that are shown are not particularly gruesome except for one in which a guy's eyeballs are eaten by a monster. [regular review] Miss Peregrine really does care for the children under her care, and does do everything she can to protect them. Even going so far as to doing the enemies' will in order for them to leave the children alone. Jake abandons his own fear to protect the children as well. The children care for each other as well; it is shown that all of them are willing to do much for their fellow friends. My conclusion is that this movie holds plenty of problem spots in terms of content, but it doesn't promote much of any religion and therefore shouldn't be a problem for more mature Christian viewers. Still, I'd advise anyone younger to have a parent nearby to reassure them that this fantasy film really is just fantasy. Wonder Woman, one of the most iconic comic book characters, finally comes onto the big screen as a feature live-action film that literally amazed the world. No small wonders for this girl. Directed by Patty Jenkins and supported by an allstar cast; it's not just the acting that saves a (if we're honest) a dying DC comic franchise. Wonder Woman shows just how tough and brave a girl can be, (even without a guy), and teaches that we should always strive to end war. Not make it. It also promotes the value of love (though a bit cheesy in that effect), and also a moral to do right no matter what. And though Wonder Woman may have all these things slung about her belt along with a super-powered lasso and sword, that doesn't mean that Wonder Woman has her share of moral problems. Indeed, Wonder Woman earns her PG-13 rating quite well. Wonder Woman, as you'll have to understand, is the origin story of a superpowered lady who can both fight like Superman, and look as cool as Batman at the same time. And ALL that in a comical and serious way as well. Sounds like too much? Like I said, no small wonders for this girl. This all leads Diana and Steve Trevor (the pilot's real name) on an adventure through London, Germany (I think), and a bomb factory. Along the way, we get to see their friends (who are, at times, quite comical), and the villains. Who I'll get into later. All this with the end result being a heart-touching at times, violent superhero flick with maybe, just maybe, has more to it than just explosions and punches. The biggest two problems of the movie are probably the violence, and the beliefs. But I'll talk about the violence first. Okay, then there's the spiritual side of things. Though there isn't much talk about having a soul and such, Wonder Woman (the movie itself) is based on Greek mythology and really treats it as fact. Though it is not dwelled upon for more than twenty minutes. 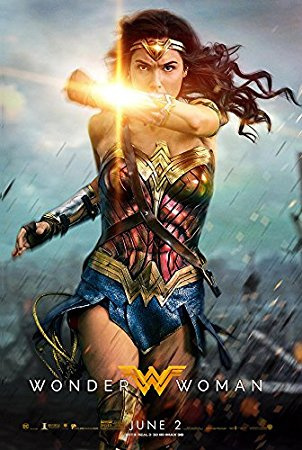 Wonder Woman (herself) is technically [spoiler] revealed to be a god, which is how she supposedly destroys the bad guy, Ares, (the god of war) [regular review] All this can be disconcerting for our Christian beliefs, but these are not really focused on in the main story so I think that it may be acceptable to watch as long as you have a clear view that the mythological side of things is still wrong. No matter what Wonder Woman stands for. As a side note, Wonder Woman (the person) blames war and death on the bad guy instead of humans themselves. Which I, personally, don't believe. And instead of showing the One, TRUE God as the solution, Wonder Woman would rather destroy the bad guy. Just something to watch out for as well. As for inappropiate content, Wonder Woman has some as well. It's never as obscene as some other things I've seen in superhero movies before, but it still has its fair share of problem spots. Though it is mostly played for laughs, Diana (who has never encountered a man before) questions him about his gender on certain things with curiosity. She also doesn't have much sense of how society is so some awkard moments include her trying to put on clothes in the middle of the store. (nothing is shown because someone quickly corrects her). She and Steve (as against my wishes) fall in love. This was probably the biggest thing I didn't like about the movie as it was so predictable, but Steve and Diana fall in love etc. However, this creates a problem spot as it is implied that they spend a night together. Again, nothing is shown. Just insinuated. Diana also wears a dress that shows off about 60% of her actual back at one point, but nothing else. Also, if it wasn't already obvious. Wonder Woman herself isn't wearing the most modest of superhero costumes. Lastly, cursing actually isn't too bad in this movie as in others. H__ is used a few times as well as God's name in vain. There's also some English exclamations like "bloody". As for alcoholic content, you see some people downing a mug, but nothing else really. There's champagne at a party. One guy in the movie (not Steve thankfully) gets drunk a few times, but again, it's played for laughs. I've already talked about some of it's more positive elements, but I'll say it again. Wonder Woman (the movie, goodness this is frustrating...) shows just how strong a girl and guy can be in times when people need them the most. At one point, a character (whom I shall not name) gives his/her life to save everyone. Wonder Woman also risks her life multiple times to protect people she doesn't even know. She also truly mourns when a people-full village is dead. Diana also has much compassion for others that is shown throughout. Especially for babies apparently. Oh yeah, that and ice cream. Love, (for everyone and others), is also a big focus, though is only much mentioned in the end. Many characters seem to realize this in the end and do heroic things for each other. Here's my conclusion: Wonder Woman is a great movie for more mature people, but it simply more bad than good for younger viewers. If you want to learn a good lesson, go read the Bible. But if you're looking for a great superhero movie with some goodness along the way, Wonder Woman fits the bill quite nicely. No small wonders for this girl.